Maybe plaid is one of the reason I love Fall so much and I always have a thing for plaid. This one is indeed a great one and I highly recommend. 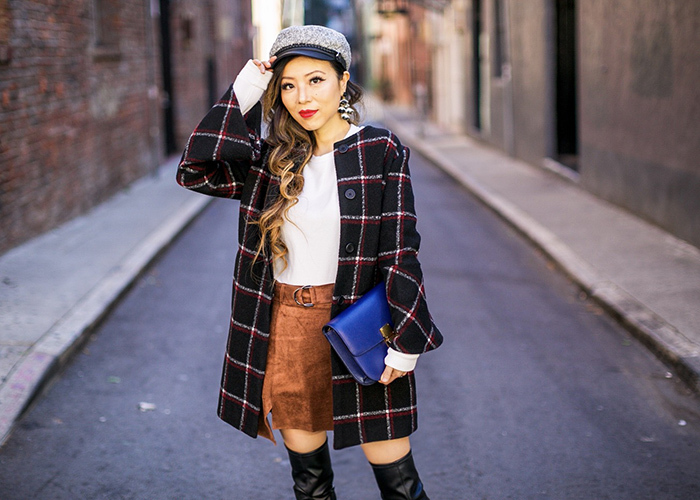 My plaid coat is so cute, warm and true to size. Love the bell sleeves so much. My side slit skirt comes in two colors and is less than $75.